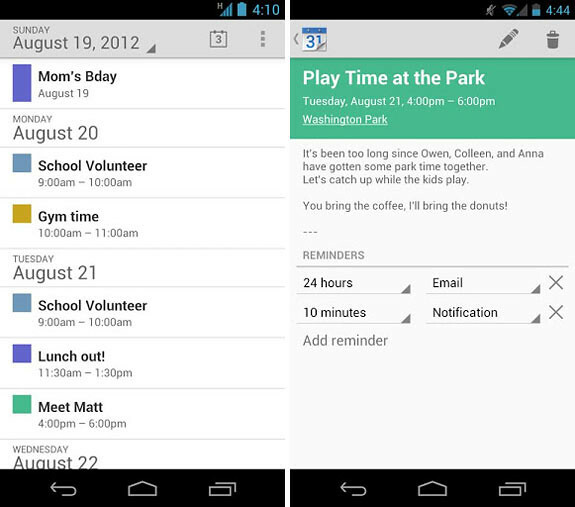 Google has just released an official ‘Calendar’ app on the Play Store. 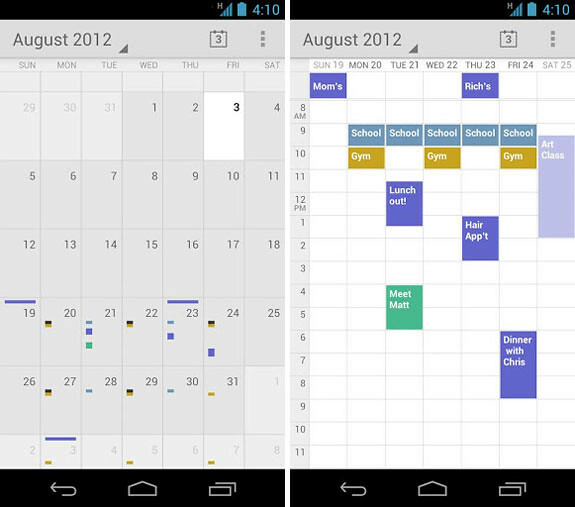 It’s basically an improved version of the Calendar app which comes pre-installed on Android devices. Month and week view. Users can now pinch-to-zoom and enlarge the entries on the calendar for easy viewing. – Snooze events directly from a notification if you’re not quite ready and want to be reminded later. – Use predefined messages to send quick “I’ll be late” updates to your event participants directly from the notifications or the event itself (of course, you can always write your own). – Pinch to zoom in and out of a day. – Set a home time zone to help you manage your time better when traveling. Users can now RSVP to Facebook events as well via the ‘more detailed’ screen of a particular Facebook calendar entry.